The B-I-B-L-E … yes, that’s the book for me! Amazing how childhood songs stick with you. 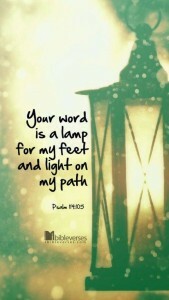 I Love God’s Word. His Word has come to be more powerful, comforting, and inspirational to me than any other time in my life. It’s great to read it, learn it, and live it. This section of my site is a special one for me. Here you will find Words of LIFE that have been tested, tried and proven! Many of these scriptures were read over me every day while I was in a coma seven years ago. Like the Songs of My Healing, these words brought life to my body and my soul when I needed them the most. Here are so many of the scriptures that have been significant to me over the past year or so. The wonderful, blessed ladies of Living Proof have faithfully texted Bonita and me some of these powerful scriptures daily. I pray you will be as blessed as we have been because of these powerful words. It will be my joy to share these scriptures with you. Words of Blessings, Words of Comfort and Words of Encouragement can be found here. I pray that God will speak to your heart and minister His life through them to your every need. A number of years ago I was worshipping with a House Church packed on the 22nd floor of a high rise in Hong Kong. We were singing familiar songs of worship but obviously in a language I didn’t understand. I did, however, understand the hymn tune of the song and the spirit of the song. 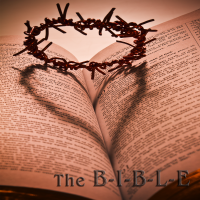 When I stood to sing I placed my Bible on the floor next to my chair. A few moments later an older Chinese woman came over to me. She picked up the Bible and caressed it close to her heart and smiled at me. She was communicating that the Bible was a precious treasure to her. I stood corrected and will NEVER forget that moment. The B-I-B-L-E, yes that’s the book for me . . .
During the years that I was in charge of the children’s ministry at SBC, we were constantly reminded of how important it is that children memorize scripture to hide in their hearts to keep there for a lifetime. Working with those who worked with children was one of the happiest times of my life. I will always count them as my dearest friends in ministry. From this time, I admired the talent of many artists who work for SBC. They have surrendered their lives to giving the Lord their best, and therefore have raised the bar of excellence in church. One of these is Josh Smith, an excellent composer, violinist, and Godly manly-man of faith. He has a precious family, one of which is Bella. Scripture is important as you can see as Bella demonstrates in this video. Hide this in your heart with joy!